What Is Self Realization and How Does One Achieve It? The greatest shift that any human being can have in this lifetime is the experience of full self realization. What is Self Realization? How is self realization different than enlightenment? There are many definitions which point to it, yet ultimately it is a fancy word for realizing that the unlimited all powerful omniscient “Self” who you truly are. This means we must go beyond every idea, concept and boundary which we’ve defined our self to be. Self realization is an endless journey, where we not only realize that we are beyond this physical form all day long, yet we have a direct experience of it with everything and everyone. We feel and sense a reverence for the spiritual being we truly are, that is not separate from this world around us. It is the most profound awakening process one can have, which expands within you every moment of the day, becoming an integrated aspect of everyday life. 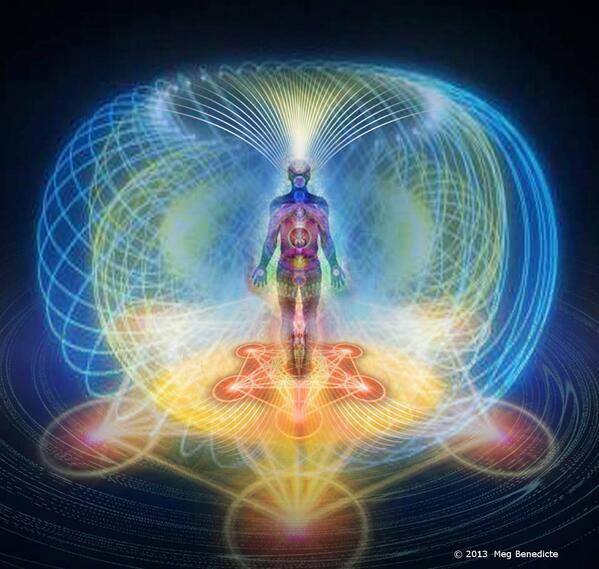 There really is no deeper transformation in consciousness that any human can have than becoming self realized. The change in perspective is so completely radical and utterly life morphing, that nothing else can compare. Take the most profound experience of your life, and then stretch it so it continuously grows and expands 24 hours a day. This is a taste of what self realization is like. Your entire experience of reality is so different, it’s as if you had been an Eskimo living for 70 years in the Arctic circle and then one day you decided to pack your bags and permanently move to Hawaii. The reason why it is so important to understand how ridiculously different the experience of self realization is, is because it helps the mind drop any possible attempts to formulate a hardened concept about it. What it actually is cannot be grasped by the mind. The more the mind tries to think that it knows what self realization is, the further you drift away from the experience of it. There is no mental concept in this Universe that can prepare you for self realization, other than a perpetual willingness to surrender into the mystery and curiosity of it. We would all like a formula for a way to live life that is more enlightened and liberating. The problem is that every formula that works once, is not going to work forever. All formulas last for a limited period of time and then we outgrow them. This is because the nature of our consciousness is meant to expand, become more flexible and diversified. It is only through absolute surrender to the infinite Universe can self realization be invoked and gifted to you. This level of surrender means you’re inviting in the feeling that anything is possible, which means you must let go of just about everything you’ve known to be true. It’s not easy to let go of our beliefs, yet it is the only way we will ever find the experience of being truly free. To begin this seemingly impossible spiritual quest for freedom, all begins with inquiring into the source and center of who and what you actually are. When you relax, meditate and dive into the center of “you”, there you will first find the mind and it’s stories about you. The infinite experience of you is behind these thoughts. It comes from diving into the center of your presence, your essence, and there you can go into it for infinity. There is always another experience within the center of each experience. Eventually, this is how we become centered within our spiritual essence. In life, it is always the most random expansive feelings which redirect our attention away from who we think we are, and towards rediscovering our unlimited creative source of consciousness. If you notice, whenever you talk about yourself, you usually refer to the words me, my or I. When you feel into the experience of me, my or I, what do you notice and perceive is there? Look for a long period of time. You must be infinitely patient with this inquiry because it is the first step towards uncovering the real you, and is vastly deep and transforming. The longer that you can maintain a focus of inquiring who or what I am, the faster you will realize the shocking truth of who and what you actually are. Try out this exercise below. 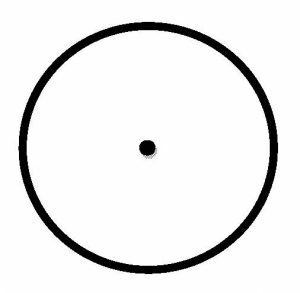 Imagine that who you are is contained within the small dot inside this circle below. The dot is the self you believe you are. This means everything which you have identified with that can be written down on paper. Your name, friends, job, your gifts, physical appearance your attitude personality and the way others see you is all part of your identity. The dot represents your mind with all the information stored inside it, as well your emotions, memories, beliefs and every piece of good and bad information inside your physical body. Everything you know to be true you about your reality is contained within a tiny dot. The circle around the dot represents everything in our future we have yet to see, experience, know and learn. It contains our intuitive higher self that says who and what we are includes the ego, mind and body, yet also welcomes everything beyond it as well. Meaning, you could find yourself knowing who you are is not just your body, yet anything around you. You could feel yourself to be a tree, animal, plant, person, the sun, moon, star, planet. You could extend your idea of your self into anything and everything in this entire Universe. The circle represents every piece of information you don’t know is on Google, as well as in all the buried ancient history books and akashic records throughout time. Now, if you look closely at the circle, you’ll see there is an outer circumference where the black edge meets the pure white background. This white background can expand into infinity. This edge represents the edge of the “unknown” and is where the experience of self realization is found. We must not only let go of identifying ourself as a body/mind, yet also be continuously expanding our sphere of what we know is the unknown, and surrender to the unknowable. You can call this infinite white expansive space God, love, consciousness, source or any word that works for you. However the truth is is that there is no word large enough to describe this boundary-less container which allows for everything in the Universe to play upon it. Stop whatever you are doing, let go of whatever you are thinking, be free from whoever you believe you are becoming…and right now devote your entire Self to realizing that you are an Eternal and Infinite Spiritual Being who will never die! This is the great mystery of life which every mad scientist fights with to understand. Yet, the mind will always be too small of a container to get it. To fully experience and realize who and what we actually are, we must release anything that can be known with the mind, and surrender into the infinite mystery behind it all. It is in this direct relaxation into our foundation that we find our spiritual connection and our boundless infinite potentiality. We instantly realize that we are a spirit being, who is beyond this body, beyond time, beyond all places shapes and forms. By living everyday life on this outer edge of infinite possibilities, we become rooted in the deepest truth of who we truly are. We experience enlightened relationships with everyone in our lives, because we see they are also a part of the mystery living in this great unknown. We then become this ever-growing expansion of Godly experience that is always increasing in love, joy and curiosity. When we find this infinitity within us, where all thoughts and forms abide in, we can rest in a state of pure consciousness. It is from this resting within the core of our real self, where we can effortlessly allow everything to be in perfect order, seeing the divine is orchestrating the universe to blossom exactly the way it needs to. The experience of self realization can come and go in an instant. We don’t need to meditate for 40 years to get it. It all begins with the choice in each moment to let this go of any identification we have with this body/mind, and exchange it for a more expansive experience of life. So it’s partly pure intention, and part total surrender. We must go from thinking we are a limited human being with many problems of this world, to knowing we are on a great spiritual journey through an unlimited life. This leap requires absolute risk and trust, as the nature of the mind/ego/identity is to try to cling to the old. It wants to find security in that which does not change. Yet, everything of this world changes. The only thing that does not change is the infinite background. The only way to real freedom in life is through changing our perspective. When we can shift from thinking “I live in the body” to “the body lives in me”, our reference point to “me, myself, and I” is expanded. We are no longer imprisoned to just the body and mind, we realize we are the unknowable. The identification with who we are is then found in everything. We experience life beyond the known and unknown circles of information we think are there. Self realization is huge. However, it is not too huge to experience it in our daily lives. For it to root and be real, we must we willing to practice integrating this expansive perspective on a physical level. We must find complete relaxation with all the feelings/memories/ideas of who we were, who we are now, and everything that we will become. It is the through the deepest acceptance of our small self that we can expand into our unlimited Self. We are forever going to be this tiny dot, that is also expanding into the infinite Universe that exists around us. This is life, we have no other choice yet to accept it, and relax into the unconditionally loving and accepting divine blackboard that is behind it all. If you’d like more practical methods, techniques, and manifesting meditations that will support in developing a spiritually awakened life, I’ve created an online 90 Day Super Manifesting Program just for you. It contains a goldmine of enlightening information that will truly enlighten your life. Just follow my online program for 90 days and it is 100% guaranteed to dramatically shift your mind, body and consciousness in the most enlightening direction! You’ll learn exactly what you need to do to raise your vibration so that you manifest the life you desire, and transcend any stuck pattern you’re in. I can personally GUARANTEE you that if you follow my online program everyday, you will manifest your dream life in 90 days or less! I know this sounds crazy, yet check out the 150+ Testimonials before you start doubting that it will work for you. Some people say it is the most enlightening, empowering, life changing self help program they’ve ever discovered. The facts are real and this program works, and works fast! You will dramatically improve your life, reaching a higher state of consciousness in 90 days or less and know that you are capable of manifesting anything you desire! 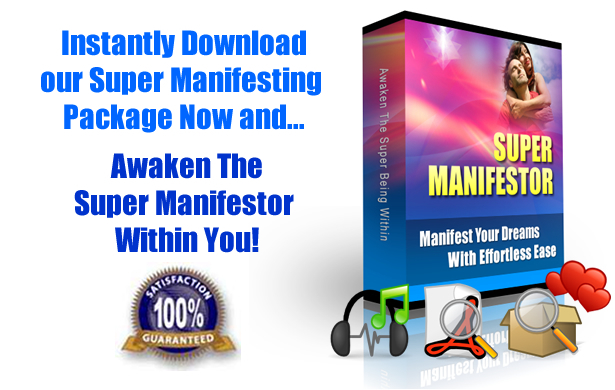 You’ll see how easy and fun it actually is to become the manifesting master of your life! This sacred download contains 27 Enlightening Videos, 240 minutes of Manifesting Meditations on MP3 audio, and over 360+ pages of Enlightening Information. 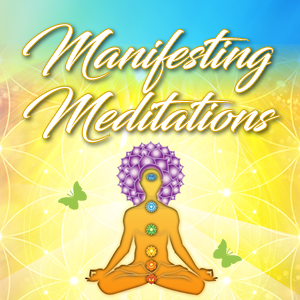 You will receive a 8 day Manifesting Ecourse and the essential manifesting techniques, tools, methods and technology needed to start attracting the life you desire! 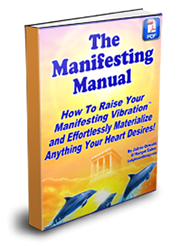 Best of all, you’ll get to read the world famous Manifesting Manual which has a plethora of manifesting wisdom which shows you exactly how to tap into the manifesting power sleeping inside you. Yes, this is a true self-empowering manifesting experience that is 100% guaranteed to turn you into a Manifesting Magnet!! Get ready to start magnetizing everything and anything that you desire! You’re about to receive all the essential tools needed to totally transform your health, wealth, relationships, and spiritual connection by instantly downloading the entire program below right now!